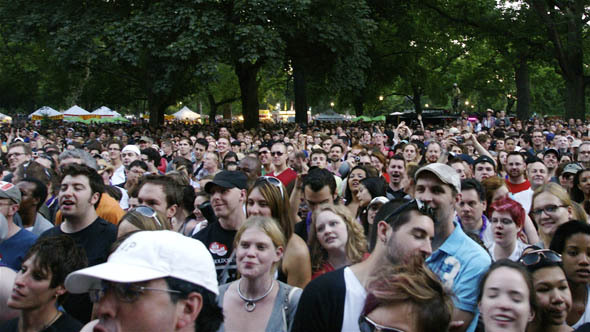 Cyndi Lauper entertained/bored thousands of fans last night at Queen's Park, singing the blues. It was a bit of a snooze-fest for a free Saturday night concert that's supposed to kick off Pride festivities for so many this weekend. While I love listening to the blues in a small club setting, this performance (largely a collection of blues cover songs) wasn't exactly what many were expecting. 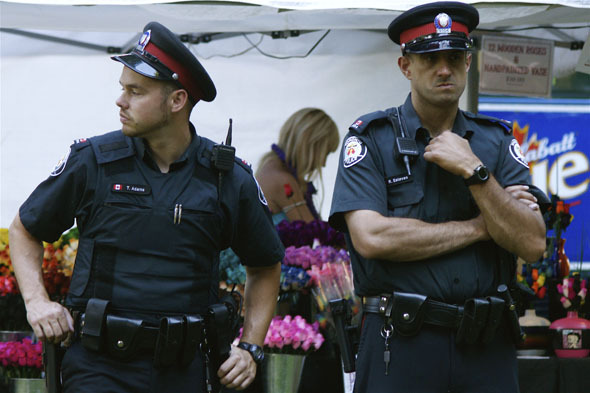 And it's possibly the last thing Toronto needs to hear at the very location just one week ago where G20 riot police on horseback charged crowds of innocent protesters and bystanders. There were unexpected security checks, which led to a line-up that snaked around at least half the park. And that was just to get into the fenced-off area where the stage, food and drink vendors were. Many ended up shut outside two-metre-high fences (oh, the irony) and had to watch and listen from afar. There were plenty of police around, but they mostly looked bored without their riot gear. 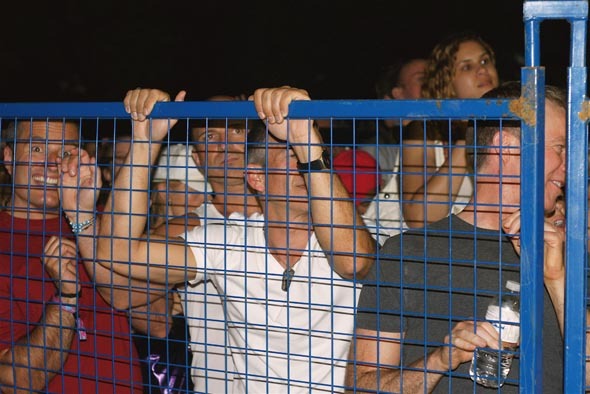 Those that braved the lineup and made it past the security check early enough were treated to a spirited set by local band Dragonette before Lauper was to hit the stage at 9 p.m. The crowd began chanting "Cyndi! Cyndi!" but lost momentum after a while. Lauper finally graced us with her presence just after nightfall, at about 9:20 p.m., introducing us to her band before she began to sing. Then came the letdown. After two songs in, she went on a bit of a tirade about how the blues is where it all began. But the crowd grew restless. Girls just wanted to have fun! 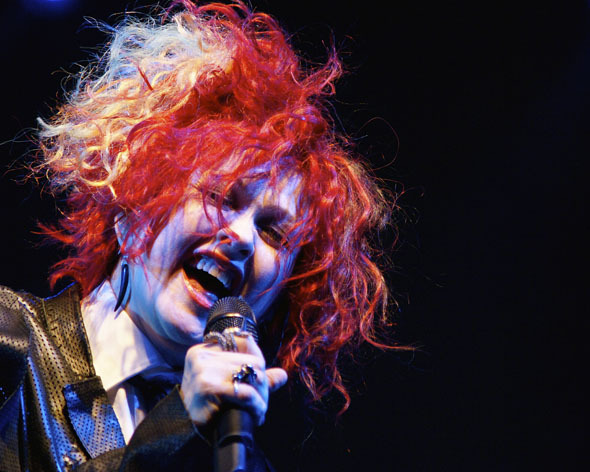 For fans of Cyndi Lauper who missed this show, you can catch her at an in-store at 2:30 p.m. at Indigo Books and Music. Ask her if she still knows how to have fun.